Ilford Galerie Smooth Pearl (310gsm): A smooth pearl paper, superb photographic image quality and consistent with the look and feel of a real photograph. Ilford Galerie Metallic Gloss (260gsm): This stunning paper offers photographers the ability to print images with a true ‘wow’ factor. 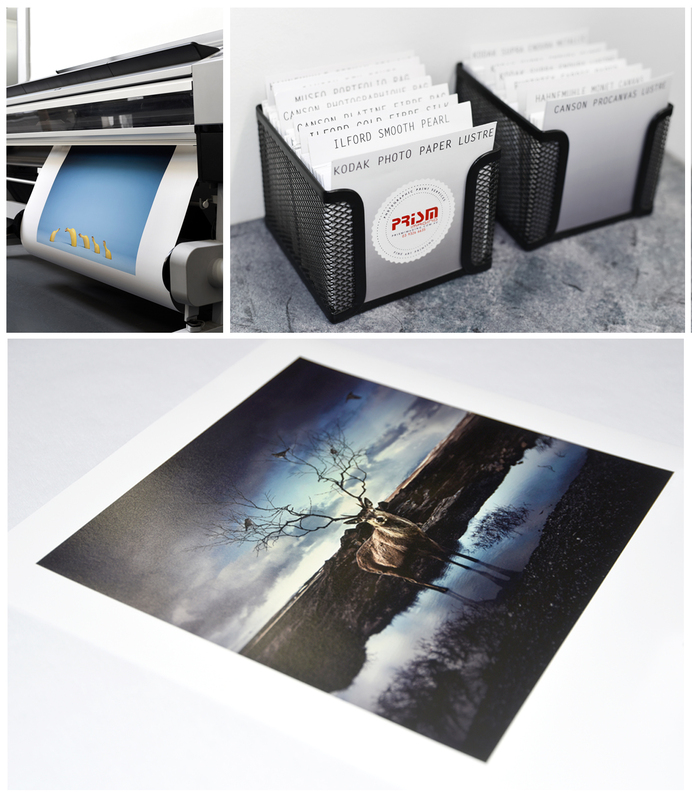 The iridium finish gives every image a three-dimensional look ensuring that each print truly comes to life. Although the media adds an additional creative angle to portrait and studio photography, it also lends itself perfectly to enhancing mechanical, industrial or architectural images. Museo Portfolio Rag (300gsm): A smooth matte 100% cotton rag. An ideal fine art paper for exhibition and portfolio prints, when you need exceptional tonal range on a surface that will not detract from your photographic images. Has a natural creamy white. Ilford Smooth Rag (310gsm): A very smooth matte 100% cotton rag paper with no optical brighteners. Canson Photographique Rag (310gsm): This paper type offers an exceptional smooth white tone, achieved during manufacturing by introducing natural minerals to the process. It offers a unique extra smooth surface with a sensual feel. Canson Platine Fibre Rag (310gsm): Setting the benchmark for Digital Darkroom papers, Platine Fibre Rag provides the aesthetic and feel of the original F-Type Baryta Fibre paper, excellent for grey tones, B&W work and colour. Beautiful grain like surface. Ilford Galerie Gold Fibre Silk (310gsm): A semi-gloss paper with traditional barium sulphate (baryta) base which gives the creamy whites and velvety blacks of a true fibre photographic B&W print. Ilford Gold Fibre Gloss (310gsm): A beautiful 100% cotton paper similar to the old fibre based darkroom papers with a gentle warm tone. Canson Baryta (310gsm): Museum grade baryta photo paper with no optical brighteners. Kodak Universal Backlit Film: A gloss-coated polyester designed to produce vibrant light box graphics. It also looks great without backlighting for other display applications. Phototex Fabric Paper (140gsm): Phototex is an extremely versatile material that can be adhered to walls, ceilings, and doors. With the ability to be repositioned and reused over and over again. It can be applied indoors to create attractive murals, family shots or wedding photos regardless of temperature, moisture or weather conditions. It leaves no sticky residue when removed and is 100% non-toxic, safe and biodegradable. It has a wonderful weaved texture with a lustre finish and can be used to follow a wall around a corner with superb impact, the interior design options are endless! ORDER YOUR PRINTS NOW VIA OUR WETRANSFER!